Stephanie Grant’s first step onto the secret third floor of Chez Sophia frightens her…and strengthens her resolve. 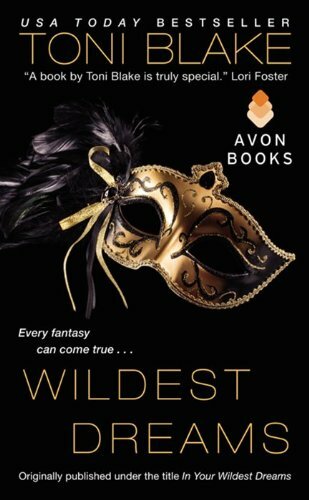 Here in New Orleans, in this luxurious world of beautiful women, wealthy men, and heady champagne, she's about to begin a perilous charade to find her missing sister. But her most reckless—and thrilling—journey will be surrendering to the spell of one man's desire. Her guide will be Jake Broussard, the bartender and ex-cop who immediately sees through her act and becomes her ally. As his eyes and soft Cajun accent send her senses reeling, she'll find herself experiencing pleasure for the very first time in her life…and losing control. Her defenses are about to slip away with her satin gown and her lacy lingerie, baring her body and soul. 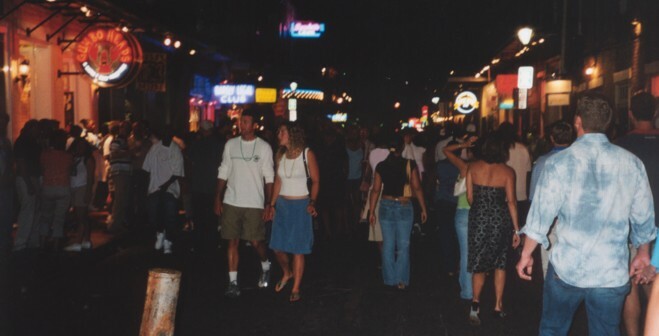 In July 2001, I attended the Romance Writers of America's national conference in New Orleans. While there, I attended the Harlequin party, which was held at Muriel's, a restaurant on Jackson Square. This is a gorgeous and truly unique place—particularly the second floor party rooms where our soiree was held. To avoid the crush of the crowd, since the place was packed, a few companions and I found ourselves retreating to an absolutely gorgeous and utterly seductive little room tucked away from the main party areas. “The red room,” as I thought of it from that night on, was filled with red sofas overflowing with red velvet pillows and red silken bolsters, and lowly lit by lamps with red fringed shades. Historic paintings with a sensual feel draped the walls, and everything about the room felt lush and seductive. My friends and I jokingly agreed that the room made us think of a bordello. The room also happened to be, by far, the coolest place on the second floor, the rest of which had grown quite warm given the number of people there. I ended up spending the rest of the evening in that room (pictured to the right). I just couldn't make myself leave. Already, I knew I had to set a book there, and that a seduction had to take place in the room. That idea provided the earliest kernel of an idea for In Your Wildest Dreams, and the rest grew from there. Explore Toni's New Orleans Travel Diary to learn more about the trip and settings that inspired scenes in Wildest Dreams.